Honda rolls out another good entry level SUV. 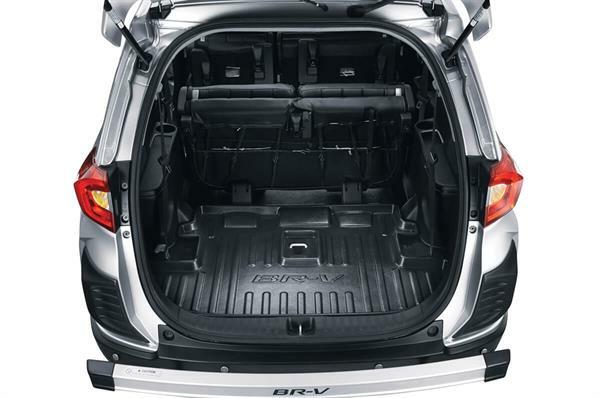 The Honda BRV is the latest SUV from Honda. The company is trying to prove a point here with this entry level SUV, but there are some questions which arise here. I would like to take my reader into all these. Hope this article is useful and gives you ample information about this solid car. Read along guys. The BRV is really a very good edition into the never-ending entry level SUV market. Honda doesn't have a very good SUV in the Indian market and for that reason the company has really brought a new car in the segment after a lot of promise and an equally waiting by Honda lovers. Now when you speak about it, overall it has a lot of positives as well as negatives. I would like to discuss everything you need to know about this latest machine from Honda. Honda has done a good job here but the attempt has to deal with a lot of competition because, the Indian market has already been filled with a lot of entry-level yet value for money SUVs. So considering the fact that Honda had also released the 'Mobilio' and which was not that successful will definitely take a toll on the company to make this big. From some initial statistics I got, considerable amount of people have loved the design and has got attracted to it, which in itself is a good thing. But when you really talk about the whole package there seems to be some things which are not so well going around with the BRV. The BR-V stands for Bold Runabout Vehicle. Well it is bold, but is it bold enough to compete in the long run, or the strong competition in the market. If you look back 20-30 years then surviving around that time for car makers was really easy, but now in the 21st century the competition is so much that holding the fort for even the well-established car makers is becoming difficult. Honda has a good household name around in almost every household in India and this status makes a big difference. So altogether how is this car? Is it worth buying? Can it withstand the stiff competition? Everything I personally feel about this car will be dealt with in this review. I have a knack of writing big reviews and writing exactly the way I feel, I would like to keep this review short and yet informative, by which you get a clear picture of how the car is. The different points which will be discussed here will be important in helping you make your decision. Let's start with the design and looks of the car. Just a stare and you will recognise that the car is designed after the Brio-Amaze-Mobilio platform, which is not a bad thing. The car looks good from the front and has a good appeal to it. From the sides it looks a little bit like the Mobilio. The roof rails add beauty to the overall design cue. Now from my point of view the car is extremely good designed one for an entry-level SUV, but still I feel is a bit too similar to the Amaze-Mobilio and is not that different in the design cues. Now if you like the design it is good but if the design is not appealing to you personally then I think you need to look for other cars in the line-up. What Honda clearly does here by bringing a good appealing design with the not a more different design. Now personally speaking I like this design, but the Duster looks even charming, the reason is when the Duster was launched it was altogether a unique design and there was no car with that kind of design around hence became a good hit. Here this is not the case, other cars like Duster, Creta, and Ecosport are really good prospect and unique in their design as well. I am a huge Honda fan but still I am not that happy with the design. The huge front chrome strip gives a very premium feel, as I already spoke the roof rails too adds beauty but other than that the car is not that unique from the other Honda designs. The car comes in six exciting colours namely Carnelian Red Pearl, Orchid White Pearl, Urban Titanium Metallic, Taffeta White, Golden Brown Metallic, and Alabaster Silver Metallic. My favourite is the Taffeta white which looks stunning and beautiful. If you just merely look at the design it perfectly alright but if you have the Mobilio in mind, it is a little disappointing. I would rate the design 3.7 stars out of 5. Honda BRV comes in two variants as usual, the diesel and the petrol variant. The car has two engine variants, the MT and the CVT. The specs I am going to write is of the CVT variant. The CVT variant has a 4 Cylinder, SOHC i-VTEC 1497cc engine with a maximum power of 119 PS @6600 RPM and a maximum Torque of 145 @4500 RPM. Now what the difference between the MT and CVT, although power train here is almost similar, the fuel efficiency is slightly better on the CVT. The engine is not that powerful but when you look into the combination of the mileage as well then this is a good preposition. The engine is good for its class but is a little poor on refinement. The engine noises creeping into to the cabin has been taken care of, but has not been eliminated fully. The overall ride quality is good for Indian roads and has the robustness to deal with the Indian roads. The rear passengers may feel a little bumpy ride but is not annoying. The power which is you need in the low revs in cities is a little bit poor but riding it on highways is really great and gives a true representation of the power the car possesses. In city traffic the steering may feel a bit on the harder side, but on highways its perfect and gives you the sturdiness you need while riding on highways. The engine and the ride quality is good. I would rate it 3.9 for the performance. The Honda BRV gives mileage figures of 18.4 kmpl in city and 21.9 kmpl on highways. This is extremely good. This is one of the best in-class in terms of mileage. This can be a good selling point for the car. The VItara Brezza has a slightly better mileage. The mileage is satisfactory and when you look into the overall package I would say it is a good prospect. There are a lot of positives and negatives in this section. The interior is great when you look into the space you can have here. This car is really big and the cabin space you have here is one of the best. The 7- seater is great and comfortable for short and long trips alike. Three people sitting side to side in the rear can be a little cramped, the boot space is fantastic and getting into the last row of seats is easy. These are the positives now; I will go to the negative. Yes there is only one negative, the "dashboard". 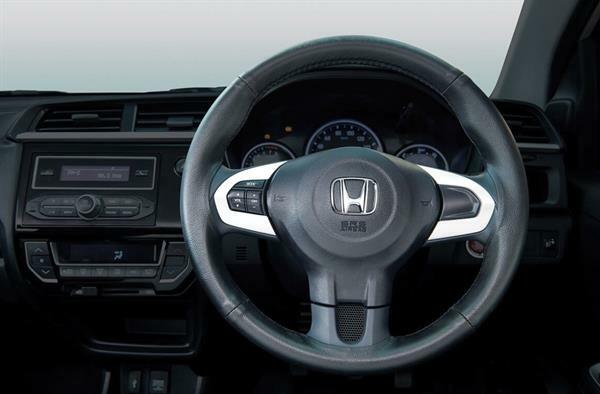 One factor because of which the Honda Mobilio failed in the market was because of the dashboard. The dashboard was exactly as similar as the Amaze. When I look into my car, the first thing I see is the dashboard and I want it be designed uniquely. Here the design is fantastic but what really disappoints here are the features which you have. The car doesn't have a touch screen, no cruise control, no rear camera or parking sensors, it only has automatic climate control, and Bluetooth connectivity for the infotainment system and USB connectivity. The equipment which I mentioned above is standard on all the SUVs in its class, and here I think the car scores too low. Other than that it is good. 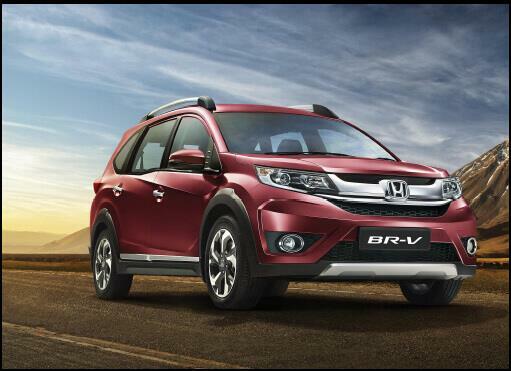 The Honda BRV starts at 9.98 lacs Ex-showroom Delhi. It is priced well and aggressively but if you look around, the Vitara Brezza with good features is less expensive, and can be a good option. So the pricing is good and I would say value for money, but the only thing I hold against it is the, low number of equipment and the almost Mobilio like look. If you can live with that, this SUV is a good option for the masses. Good design, excellent space, good mileage, last row seats comfortable, gracious boot space. Engine not that refined, design a bit too inclined towards Mobilio, Equipment list really poor. If you are looking for a good entry level SUV, with affordable budget as well as good performance and better mileage, this is the car for you. But as I stated earlier, the equipment list is less, which is almost standard on almost all the cars in this segment. So if you are content with Bluetooth and USB connectivity, I strongly recommend this car. The performance too is good, personally speaking had Honda made equipment list a little bigger I would strongly recommend this car. People who don't care for it have already booked the car. So it is down to personal preference. Hope this article is useful. Enjoy life. Drive Safe. God Bless.